Home > Blog > Suffered an Investment Loss? What do you do? Suffered an Investment Loss? What do you do? 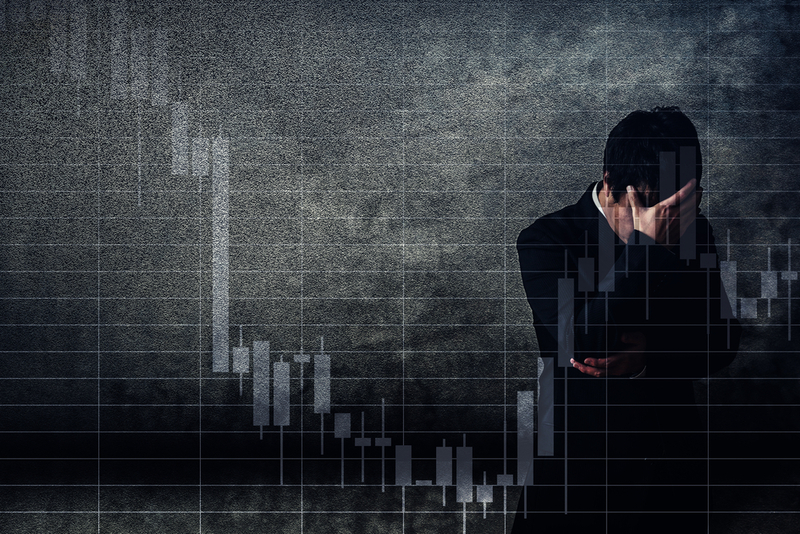 When the markets fell sharply in the last quarter of 2018, some investors may have suffered losses. If you are one of them, what do you do? These could likely be your immediate reactions, but don’t fall prey to them. Knee-jerk reactions almost never work. First, you need to keep calm. Take a deep breath and clear your mind. Take a step back and see things from a broader perspective. Had I invested for the short-term or long-term? Was the investment meant to fund my retirement, which might be 10 – 20 years away, or was it meant to be a short-term wager (a.k.a. speculation)? Investing for the Long Term? If you have invested for the long-term in the beginning, you might want to stick to it, despite the rockiness. Long-term investors tend to “ride through the cycles” instead of trying to pick the tops and bottoms. In other words, they don’t resort to market timing, which we all know don’t really work in the long-run. Take for example Warren Buffet, whose investment time frame is “forever”. Mr Buffet is one who truly understands that if he holds an investment long enough, he will be able to reap the rewards as the shares of fundamentally strong companies rise over the long-run along with the country’s overall economy. As a result, he is not bothered by the market’s up-and-down cycles. To him, patience, coupled with the belief that the stocks he picks will still be around in 10 to 20 years, are the key to his mental peace. However, we know not everyone is Warren Buffet. Even long-term investors can be shaken if the market declines by 30% to 50%. Many may still end up throwing in the towel, and that might be the worst possible moment to do so. Thus, even for long-term investors, especially for those who are anxious about the volatility seen during the last quarter of 2018, the advice is to review your portfolio. If you feel disturbed by the market’s volatility, it may be a clear signal of a problem that is common among investors: Your risk tolerance is not properly matched to the investments in your portfolio. For example, the amount of risk in a conservative investor’s portfolio could have unknowingly creeped up far more than he/she thinks. The rising market has a knack for luring investors to chase after higher and higher gains, causing them to lose track of the increasing risks they are taking on. Many investors’ actual tolerance to risk has therefore not been tested – until now. So, investors who now realise their portfolios give them sleepless nights should reduce their portfolios’ risk to a level that they can tolerate better. Investing for the Short Term? Many short-term investors have a Plan A, which is to plunge into the market, make money quickly and pull out – but they don’t have a Plan B, which should be activated when the invested asset moves against the speculator after he/she commits to it. Anyone playing the short-term game should have an alternative in mind when things don’t go their way. While long-term investors can afford to hold onto losses and ride through cycles, short-term investors, as the name suggests, only expect to be in the market for a short time. Without a Plan B, investors may end up holding for an uncomfortably longer time what was supposed to be a short-term investment. If you’re a short-term investor and you have been caught out by the recent sharp decline, you should put a Plan B in place. Among those who have a Plan B, a common one would involve deciding on a “stop-loss level” and planning what to do if that level is breached. For example, when a portfolio’s losses reach 15%, Plan B could mean moving 75% of the portfolio into a safer investment, leaving only 25% exposed to further market gyrations. The investor can then further plan on when to get back in again to hopefully recoup the losses. Without such a plan, many investors will continue to make the all too common mistake of “I’ll wait for prices to recover” – they could end up “holding the baby” at the top of the cycle. Be it to ride out market swings or to stop loss, your actions should be well thought through. Ideally, they should not be knee jerk reactions. Every impulsive act could make you worse off and pile up into a heap of unfavourable outcomes, which could eventually overwhelm you. On the other hand, there are investors who may suffer from “investor paralysis” – they don’t do anything, hoping that the pain will go away miraculously. Inaction due to such paralysis is equally ill-advised. We hope that the above pointers are helpful. Always remember that making a loss is part and parcel of investing. What sets a savvy investor apart from a non-savvy one is that the former takes losses in his/her stride and has a pre-formed strategy to face unstable market movements. Financial Alliance is an independent financial advisory firm that provides its clients with sound and objective financial advice to protect and grow their wealth. Providing top-notch services to both corporations and individuals, Financial Alliance is a trusted brand in Singapore and has been navigating its clients’ financial future for 16 years. For more information about Financial Alliance, click on the link.